"Do you not know I am your Mother?" To remember whose we are? "You have it within your power to do so"
In just the past few moments I heard from a parishioner who is terrified because of what a physician has told her about her heart. My doctors have told me too about things that I need to face, and I find myself often in fear. Another friend called to speak with me (storms often light up the telephone lines) about the storm to be sure I'm ok. He also shared with me his fear over the outcome of the election. I assured him that we would very likely survive the outcome whatever it might be. This despite the dire predictions of both sides. Those of you who follow this blog know how I feel about this election. But then I also remembered that civilizations have come and civilization have gone and the concern of God through the coming and going of civilizations has much to do with how we deal with justice and the least of God's children. We might do well to heed the Scripture's concern for the poor. They are mentioned 213 times in the Biblical narrative. And the clear bias of the scripture in most if not all great religions, is on the behalf of those in need. Clearly Jesus teaches us that the nations will be judged on the basis of how well we treat the least of these, God's children. I have gone to great pains to read that passage into the record for any who may doubt the central importance of this Godly proclamation. When necessary, we rebuild our civilizations, and those with staying power are those who understand the need to organize national life around human need. Churches would do well to organize their lives similarly. So then fear fills the human heart as catastrophic events assault the human condition, at national, community, and individual levels. Our lives, to be sure are filled with uncertainty, and we are ultimately left vulnerable to the caprice of nature. But then there is also courage. This is the other side of the human heart. If we think about it, courage is the only side of the heart of God. Time and again we hear the angels speak to human beings and when they do; the message they bring is this: "Fear not!" In fact Scripture teach us to take courage in any number of places. There are two side to the human heart; fear and courage. What I tell myself, so now I tell you; "Take courage". As Jesus said to the storm; "Peace, be still". 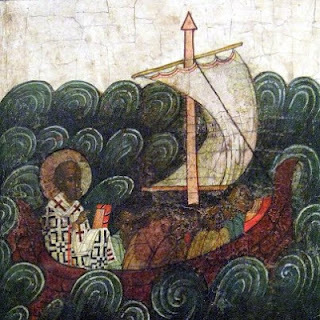 PS Here's a wonderful rendering of St. Nicholas commanding the seas to be still. Love the stories of the saints. During my lifetime we have fought some very difficult battles. My life has been touched by these issues and they matter. My uncle and two of my kids happen to be gay. I love them with all my heart. There are those who wish to put them back in the closet and deny them the right to love one another. This is a denial of a fundamental human right. And for those of us who are Christian, this is a denial of our Lord's fundamental command that we love one another. We are still a long way from gender equality: equal pay for equal work. 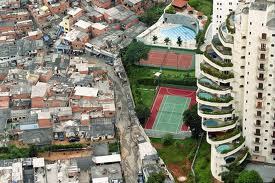 And the disparity in wealth between the super rich, the multi-national corporation and the rest of us is growing. All these are matters of profound concern for those who value our basic freedoms. I deem it needful for us to have a chuckle or two whilst Sandy bears down upon us. 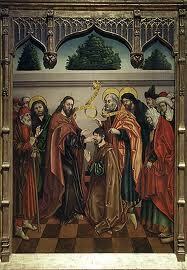 They viewed Jesus as the Master, and called him so, even though he often surprised them by his teaching. Jesus often confronts the Law with contradiction. There is a difference between how Leviticus looks at those with blemishes and imperfections and how the prophetic tradition looks at the blind, the lame and those with child. Jesus often tilts to the side of the prophets when human suffering and imperfection comes to the fore. In fact, the theological view within the Torah is based on the notion that we should be holy as God is holy. There’s nothing wrong with that. Obviously we should all strive for the holiness that God intends for us. But if it is the case that it is only those without blemish who may make an offering to God, then what of the rest of us? What of Bartimeaus, the blind beggar? According to the Law, the blind, the lame, the blemished, the lepers, the sinners and so forth are not welcome to make an offering in the Temple. Because they are blemished, so too are their gifts blemished. And the logic of the Law tells them they may not approach the Throne Room of God. 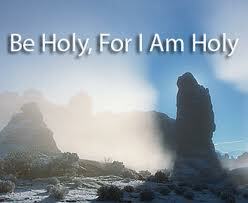 The holy of holies is reserved only for the High Priest, and for him, even, only once a year. To be fair, the Law also requires us not to put a stumbling block in the way of the blind or the maimed. We are certainly not to revile or insult anyone who is maimed in any way. The Law is clear about that. We are called to remember God’s holiness and to offer nothing but our purest selves to God and to respect every human being. But the problem is that there is much that is maimed and blind, there are many, many sinners, and for far too many of us, achieving this level of purity is beyond our reach. 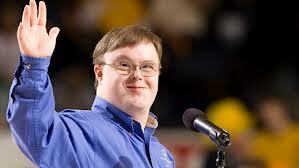 In the heat of an election year, even the word “retarded” is bandied about in a rather casual and uncharitable way. But then in an election season, there are many uncharitable words bandied about. Given the nature of politics, we’re likely to characterize our opponents uncharitably. This too is a part of human nature, and falls somewhat short of God’s intention for us. 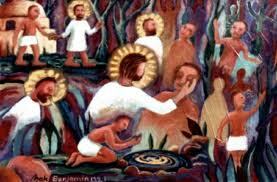 But now we take the case of Bartimaeus, the blind beggar in today’s Gospel reading. The fact that he is maimed, supports the admonition that he hold his peace and not approach Jesus. More and more, Jesus is being viewed as the Holy one of God. But then he often challenges the old ways of looking at things, even if it requires contradiction of the Law. So he says; “Tell him to come here”. Bartimaeus throws off his cloak. Can you imagine the reaction in the crowd? This behavior is scandalous! He blindly stumbles toward Jesus, Jesus may have had to say, “Over here, Bartimaeus” a time or two as he looked around with his hands. Again! Really. Are we talking about seeing, or perceiving, or understanding? Or are we talking about all the above? Our faith is often wanting. Our blindness and deafness assaults the senses not only in physical ways but in metaphorical ways as well. So now, perhaps we are talking about faith. True, blindness is a dreadful condition but I once had a parishioner who was a legally blind teenager who could read the scripture by committing the words to memory and to heart. She brought a much enlarged text with her to help coach her to reading aloud. She is an inspiration. And she loved to read the scripture. It brought her faith. There are those who are blind, deaf, retarded, lame, and maimed in all sorts of ways in every congregation I’ve served. But they were not so to Jesus. Their gift was precious to him. And this became a teaching so important to Jesus, that he spent the majority of his time in healing the sin sick souls of those who followed him. For to Jesus, being holy as God is holy, as important as that is, was superseded only by the notion that we are to be compassionate as God is compassionate. In the Greek, the word compassion is the same as the word gut, or womb. The love that Jesus felt for Bartimaeus and the rest of us, was so deep and so profound, that it paralleled the love of a mother for her child. So when the prophet says, “gather the blind, the lame, those with child and those in labor”, he may seemingly be contradicting the holiness code. 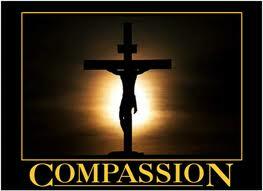 But Jesus came to fulfill the Law, and does so with the compassion of God. To Jesus there was nothing unclean, spotted, or blemished about sinners like you and me. Instead it was entirely in keeping with Jesus’ notion of compassion, that he too, like the prophet, would gather the blind, the lame, those with child and those in labor into his circle of friends. “What would you have me do for you?” It is the question Jesus asks as he stands knocking at the door of every human heart. And immediately we go on The Way, the Jesus Way. We have received our sight once again! The national conversation as we approach the election seems to require some input from the One who ultimately will judge the nations. Allow me to share this with you. And what, you ask me, is the end? The end is to Occupy the Church! The End is not to go to church. The End is to BE the Church. The prophesy of Jesus is that he will die. His death was the prophecy. In the meantime he healed the sick. He taught the poor and the rich of his love for all. He reached out to the lepers and prostitutes, and outcasts of all sorts. They were male and female, Samaritan and Jew, rich and poor. He told the disciples in Mark's Gospel three times that he was going up to Jerusalem to die. There he would be put on trial, he would be found guilty. Then he would be crucified, he would die and then he would rise again. He said this three times on the way up to Jerusalem and each time they recoiled in horror. He overturned the tables of the money changers (Bankers/Corporations?). They made quick work of him. They had high hopes that he would be the Messiah and usher in the New Age. He would be the political fulfillment of their intentions. Instead of that, he just plain died. It was to be his end. But when the end came, they buried him and three days later the women came by to tend to things after the custom of the observant faithful of the day. And lo and behold, he was not dead. Yes he suffered, excruciating suffering. And yes he died, in a most ignominious and shameful way. 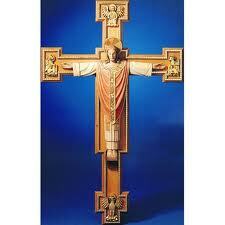 Crucifixion is a scandalous and shameful way to die. Yet he rose again and manifestly appeared to us and continues to appear to us in the lives of those who continue his work. Now it is up to us to do his work of organizing our lives around human need. Where there is suffering, we will bring the salving presence of Jesus. Where there is warfare and violence, we will bring peace with justice. 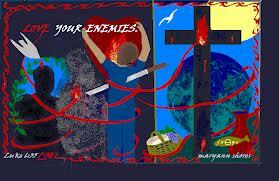 Where there is hatred for the outcast, we will bring the embrace of Jesus. There is no longer slave or free, Jew or Greek, male or female...gay or straight, rich or poor, black or white...you name it; it's not there...we only see through the eyes of Jesus now..and we are ALL ONE in Jesus, because we are signs of the Kingdom's coming! We are in the end times because we are living to the end that Jesus intended. By the way, we could use some help, because there are many, many others not living in accordance with the mandate of Jesus; namely, that we "Love one Another!" We are not here for sacred rituals! If our sacred rituals do not point us to the work of Christ, they are nothing worth. We are here to bring the healing touch of Jesus, the loving embrace of Jesus, the Peace of Christ in the non violent struggle of Justice for ALL! Take the church back from the authoritarian dictatorship under which it presently suffers. 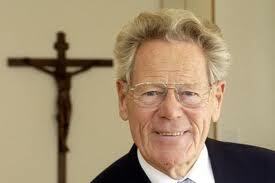 Listen to Hans Kung, Roman Catholic theologian whose right to teach in the name of the church has been removed. He has been silenced! Take the church back from the Right Wing Fundamentalists and religious extremists who use the guise of Christ as the Pharisees, Scribes and Sadducees of old. Take the church back from its empty rituals and bring hope to the poor. In the name of the church: OCCUPY THE CHURCHES!!! One of the "Thin Places"
It happened on a mountain top in West Virginia. There was a pretty bride and a handsome groom and there was the dog, "Macie", bedecked with a specially made collar and leash. There was laughter and a few tears. It was cold on the mountain top in October, just yesterday. But we warmed ourselves with jackets, blankets, good humor and gracious affection. We were all friends and family. And of course, my wife and I were there too. A priest and his bride. We decked out the altar as for a wedding. It was beautiful. There was a special hand made chalice and paten. The flowers gave a special accent to our joy. Then came the procession, the traditional words of greeting; "Dearly beloved, we are gathered together, here in the sight of God, etc." The Declaration of Consent, presentation, and collect were followed by the readings and the Gospel. The priest gave a greeting, and an inner warmth filled us to the brim. At the Eucharist, there came a moment when I elevated the chalice to heaven. I said the sacred words; "And when he had given thanks to you", I looked up to heaven and it was as if we were transported in an instant to eternity. White and darkened wisps of layered clouds whisked by in the wind, and there behind them there broke a sky as blue as azure. Time stood still for an instant. It seemed to take my breath away, but I continued on as I have for every Eucharist I've said a thousand times before. But this time there was something different. Folks said that as they looked behind me, the sun broke through the clouds just then, and the sight transfixed us all. The moment came and then the moment went by. It was on the mountain top. It was in West Virginia among some of the best of friends. I searched for a way to describe the feeling when it then came to me. This is what the Old Celts called "A Thin Place". It is where you may come to touch the Presence, or more correctly, where the Presence will come to touch you. We rejoiced. We made our way back to our cars but as we did, gratitude filled our hearts to the brim. My heart sang an old Irish hymn; "And O what transport of delight, from Thy pure chalice floweth". And so too may you be filled with all the fullness of God. It is a fair question for anyone who takes his or her faith seriously. What do I have to do here to make my way to heaven? 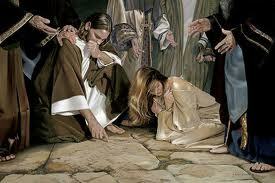 The young man in question in today’s gospel actually knelt down at Jesus feet when he asked the question. Jesus is quite plain spoken. First he reminded the suppliant, don’t call me good. Only God is good. That is a startling statement for those of us who name Jesus the Anointed One of God. Still, notice how he insists on humbling himself. There is an axiom in divine spirituality that seems to play on the theme that those who exalt themselves will be humbled and conversely those who humble themselves will be exalted. It is a theme Jesus comes back to time and again. In today's Gospel, for instance, he says that many who are first will be last and many who are last will be first. There is something axiomatic about spirituality that turns things upside down. Jesus goes on by saying: “You know the commandments”. You know the difference between right and wrong. Don’t murder people, don’t break your marriage vows, don’t steal, don’t lie, don’t defraud or cheat. Honor your mother and father. That sort of thing. Just do that and you’ll be fine." Jesus did an interesting thing then. He looked at him and loved him. Notice that verb “love”. What he was about to say would be difficult but essential to the soul’s health and well being. Jesus comes from a long prophetic tradition where the care of the poor is paramount and central to a sign of the presence of the kingdom. In today's First Lesson, the prophet Amos warns the rich about greed; "Alas for you that turn justice into wormwood and trample on the poor!" Note, if you will, the order in which Jesus arranges his prescription for treasure in heaven. It is in the giving of earthly treasure that the treasure of heaven is to be found. Only then do we really find it possible to follow Jesus. In a life that is marked by a generous spirit. Here we go again! Another one of Jesus’ impossible standards. Last week there was the absolute over marriage. But then we also considered Jesus’ other moral absolutes for the woman caught in the act of adultery; the moral absolutes of forgiveness and compassion. So now with the Parable of the Rich Young Man. Upon hearing that he must give away all that he had, he went away shocked and grieving because he had many possessions. At which point Jesus looked around and said; “How hard it will be for those who have great wealth to enter the Kingdom of God. 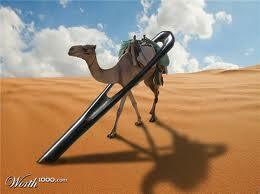 It is easier for a camel to go through the eye of a needle than for someone who is rich to enter the kingdom of God." The disciples were also astounded and deeply perplexed! Who then can be saved? 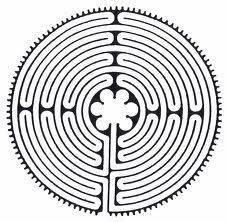 Rabbinical thought has always sought to plumb the depths of the mind of God and of course always arrived at a dead end, for the mind of the mortal is always found wanting when looking into the mind of God. In fact the aphorism; the “eye of the needle” is found in both the Babylonian Talmud and in the Midrash. The Talmud and the Midrash are exhaustive commentaries and interpretative treatment of the holy writings and the rabbis studied them with great care in order that they, however humbly, could search the Mind of God. Thus the metaphor appears specifically in the Midrash on the Song of Songs. It is used to speak of God’s willingness and ability beyond comparison to accomplish the salvation of a sinner; to quote the Midrash directly; “The Holy One said, ‘Open for me a door as big as a needle’s eye and I will open for you a door through which may enter tents and camels’”. Isn’t it interesting that Rabbi Jesus knew how to use rabbinical thought and analytical metaphor. Frankly, we are helpless without the help of God. Our marriages will fail without the help of God, and without the help of God we would not be able to begin again, when marriages fail. So will our business fail, in fact whole economies will fail without the help of God. Without God there is only war, theft, lying, defrauding, cheating and greed. Is it any wonder that as a world takes to its own devices, so too it loses its moral compass. It is not just that the world loses sight of God’s moral absolutes, it even loses sight of any moral reference point whatsoever. Greed cannot be turned to generosity without the help of God. We cling to what we have for fear that God will not provide. We cling to and grasp our belongings so tightly that they fall through our hands like sand falls through a tightened fist. We fail again and again to see that it is only through the open hand of generosity that God gives to us out of the bounty of God's goodness. 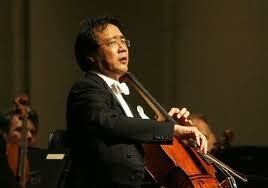 Imagine; Bach, Stradivarius, Yo Yo Ma, Steve Jobs, and God. Yes they are all there. God is always there within the gifted ness of human hearts minds and hands. 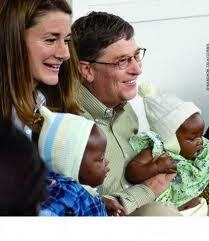 But I must say this and I know this will irritate Steve Jobs enormously and may even incur his famous wrath...it is Bill and Melinda Gates who have dedicated their later lives to philanthropy. The wealth of Steve Jobs? Remains largely private. Steve, I'm sorry but you got that one wrong. Still, God cannot help but love you! It is said that the main gates to the Holy city Jerusalem are closed at night and the only way to get into the city is by way of the gate called the Eye of the Needle, called so because of its diminutive size. It was easier to defend that way. A man or woman can pass through and so could a camel, sort of. Everything a camel carries must be removed from the camel’s back and even then the animal’s efforts at squeezing through will leave bystanders convulsed in laughter. It is a persistent and delightful story even though most current scholars find no evidence for its reliability. So too Jesus loved to make his hearer smile when he made a point. He loved using hyperbole, a literary device where outlandish exaggeration is used to make a point. Yes our marriages, our loves, our families, our lives, our possessions, our businesses, our economies are not worth much unless we we open heaven’s gate within our own hearts. No one here has as all that much wealth. If you do, you’re holding out! We are all doing the best we can to pay our bills, raise our families, and live, I’d say good honest and modest lives. Things have gotten tough for many around here too as jobs get sent overseas and manufacturing continues its demise in this part of the world. How shall I inherit the kingdom of heaven? Easy, pass through the eye of a needle! Labels: Corporate Greed, Economic Justice, Generosity, God's love. There is some momentum finally for such an effort. 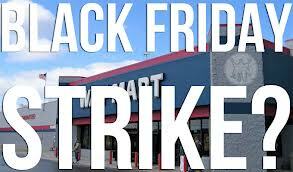 Recent news reports indicate that Walmart employees are planning such an action on Black Friday. Among the the largest retail employers in the United States are: Walmart, Target, Sears, McDonalds and Kroger. They are famous for exploiting their workers, keeping them part time and refusing them adequate benefits. You will no doubt remember that when it came time to save the skins of the largest financial institutions in the United States, it didn't take a weekend for the Bush Administration to throw billions and trillions of dollars at these Corporations (dare I say people as some would say?). The Obama Administration followed suit immediately upon election. But when it came time to save us from the export of our jobs overseas, or unemployment, or the loss of our homes, Congress turned its back on us...both the Republican and Democratically controlled Congress. We have been left to fend for ourselves. Our life savings have been decimated, our pension funds in many cases have disappeared, the hope of health care hangs in the balance over the next election, and many of us have lost our homes. If we think the next election will resolve anything and bring us more jobs, we are pitiably deluded! Obama's plans may help build employment gradually, but if Romney is elected we will merely watch our jobs continue to be exported overseas, we will subsidize the rich with more tax cuts and we'll continue to scrape by with the few scraps that "trickle down" off the tables the 1%. They will never give us anything. We will have to take back what has been stolen from us over the last 60 years! The plight of the worker and the middle class is now at stake to a degree that has not been the case in a very long time. I applaud the folks at Walmart who plan to walk out of work on Black Friday. Imagine this: All Americans walking out of all retail establishments for just one day. Black Friday!!! And imagine if the rest of us stayed away from the stores too! Imagine if we send a message that this time the American people can and will flex our muscle and let the powers and principalities know that we will be heard. There is much at stake in this election. For seniors there is the matter of Social Security and Medicare. Both are matters of great significance to me since, all of a sudden, I am a senior. 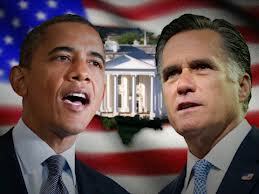 Romney has set his sites on both, and that makes me very nervous. Privatize Social Security? A voucher system for Medicare? Not on my watch! Romney says he wants to bring jobs to Americans. This is the most difficult statement for me to believe. He and the folks at Bain Capital etc have spent a lifetime buying/closing businesses and shipping our jobs overseas. How can we possibly believe this past behavior will change if, God forbid, this man becomes President of the United States. Do you suppose he will suddenly change his stripes? Romney and Ryan want to lay off Police, Fire, EMT's, and Teachers by the hundreds of thousands. They want to eliminate the Department of Education. They want to further decimate government. You do know that means jobs. Hundreds of thousands of jobs! Contrary to making jobs, the net effect will be to dump hundreds of thousands of Americans back into the streets without any safety net. We know from the Republican policies of the past that unbridled deregulation leads to catastrophic economic failure of the sort we saw under Bush. The job losses were on the order of magnitude we haven't seen since the depression. Our life savings were decimated by greedy bankers and financial institutions which we saved with our tax dollars. In a cleverly orchestrated slight of hand, they kept that money and made more while we were left wondering what happened! Romney and the rich pay less than we do in taxes. He wants to keep it that way. Why should you and I pay more in taxes than the rich pay? Why won't Romney show us his tax returns? Where does he keep his money? In offshore accounts in the Cayman Islands? Is that really true? Yes! How can he possibly claim to be a patriot if these things are true? Why should we give welfare to huge corporations? Do you fail to see that GE etc. pay NO TAXES whatsoever? In fact we also subsidize many corporations with our tax dollars? Why do we subsidize oil companies with corporate welfare? Romney has said he wants to repeal "Obamacare". It is an unbearable irony to me that he has taken this position since it is essentially the same plan he developed when he was governor of Massachusetts. He says he wants to keep the "pre-existing" clause in the plan, but that will only count if you already have health insurance. I am very concerned about this since millions of my fellow countrymen/women are without such insurance. They will be left out in the cold. They will be left to die penniless. Students are burdened with horrendous debt. This is important to me since one of my sons is struggling for work and is also struggling to meet his student loan payments. Romney has set his sites on student aid and will make it more difficult for kids that aren't rich, to go to College. He will make it more difficult for them to repay their debts. Romney/Ryan want an invasive government to decide what a woman shall do with her own body and remove her freedom of choice. They even want to turn the clock back on birth control. Men, of course will remain free to walk away from women and children as they always have done when the rabbit dies! 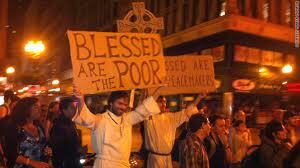 And as for the poor...Romney/Ryan want a nation that will turn their backs on them and say; "Tough!" Romney was an embarrassment in London and in Italy when he went to Europe this summer to show off his international "savoir-faire". And he has the nerve to criticize the President on foreign policy. He knows how to make glitzy statements about foreign aid to Egypt, and how to brandish his sword toward Iran, but can he carry out a sophisticated foreign policy with skill and intelligence? (That's a rhetorical question). Yes, he finessed the last debate, but when it comes to substance, Obama won hands down. Now then, the choice is ours. Would you rather finesse over substance or substance over finesse? Much rides on the choice we make in November. It is a puzzlement to me that so many Americans vote against their own self interest. A puzzlement indeed! Think about what it will cost/benefit you and those you love before you cast that ballot. You can well imagine where I stand on these essentially moral and ethical issues. Peace with Justice to America! Living Up to Jesus' Moral Absolutes! How is it possible to live up to Jesus's standards, especially after reading today's Gospel? It is fascinating to note that those who follow the founder of our faith often use passages such as this as yet another opportunity to judge others and not as an opportunity to proclaim forgiveness. The Pharisees were just trying to catch Jesus up in his own words, as was their custom. And instead of asking about Jesus’ teaching on marriage they asked him about his teaching on divorce. Many have been hurt by this kind of ethical absolutism, but there it is in black and white. My mother was turned away from the church in 1956 some years before the canon on marriage was changed to allow for remarriage in the Episcopal Church. Still, if we know the biblical record, we can press a little deeper. When we come to a parallel passage in Matthew (Chapter 19), we see there that the Pharisees are still pressing Jesus on the issue of divorce. Again he proclaims his ethical absolute, but leaves a little bit of wiggle room and creates an exception in the case of unchastity. So here then you can divorce a woman in case she commits adultery. No mention of equal treatment for men, mind you! Matthew was written about 20-30 years later than Mark, so some editor may have felt it expedient to ascribe some flexibility to Jesus’ teaching on marriage and divorce. We even hear Jesus tread into the very dangerous territory of gay marriage. in this chapter. It is no wonder he ended up crucified! 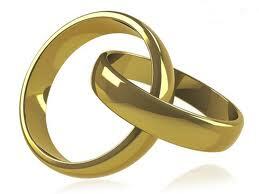 But consider this; Jesus’ ethic on marriage seems to be absolute, except in two rather outstanding cases. The first and all time winner in the exception department is the story of the woman caught in the very act of adultery. (John 8:1-8) Here the elders of the Temple haul this poor woman right up to Jesus and cite the Law of Moses in the manner of Pharisees and Biblical literalists. “The Law requires that such a woman is to be stoned to death.” Correct! That’s what the Law says. In fact, whether it is Mosaic Law in Judaism, Sharia Law in Islam, or The Biblical Law for fundamentalist Christians, all the literalists insist on a letter of the law approach when it comes to judging somebody else’s ethical behavior! But Jesus was not so fast to judge, you may remember. Jesus knew a set up when he saw one. Here they were, bringing the woman before Jesus who had been caught in the very act of adultery. So if they brought her up to him, why hadn’t they brought the man? After all the Mosaic Law requires both to be stoned to death. Then Jesus did an interesting thing. He wrote something in the sand. We have no way of knowing what it was he wrote. But given the situation, I wonder if he had written the name of the fellow who had done the deed with her. God knows he was Jesus, God knows the secrets of all human hearts and obviously knows what we’ve been up to behind closed doors, so I suspect he knew who it was. So then he said; “Let the one who is without sin cast the first stone.” He continued to write in the sand, and one by one, beginning with the elders of the congregation, they went away. Do you think that those who set up the whole scene may have been involved in that act of adultery? Given the nature of hypocrisy, I wouldn’t be the least bit surprised if any number of the Temple elders and authorities had been involved in the very activity. 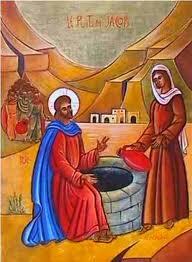 The other exception involves the Samaritan woman at the well. (John 4) Jesus asks her to bring him a drink of water and then there follows a marvelous discourse on the “Living Water” that Jesus can provide to the sinner. It is the kind of water that wells up from within to bring abundant forgiveness and abundant love. Then he asks her to bring her husband to meet him. And she allows as how she has no husband. To which Jesus replies that indeed she speaks the truth because she has had five husbands and the one she has now is not her husband. Immediately, she gets it. This fellow is a prophet because he knows all her secrets and still he offers her God’s forgiveness and God’s love. When the disciples come back they are astonished to see that he is talking to such a woman as this. It is astonishing to meet Jesus in the Gospels. His ethical standards are absolute. But so is his compassion, his forgiveness, and his love; they too are all moral and ethical absolutes. This is the Gospel. God’s absolutes! On Thursday of this week we blessed the animals at the Villa. Seniors and children brought their cats, and dogs, and stuffed animals for a blessing. 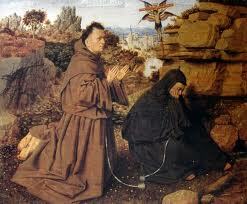 In honor of Blessed Francis of Assisi, he who taught us so much about the love of God's creation and God's animals. It made me think of the story of St. Francis and Brother Leo. After all, we are asking the question; "how it can be possible to live up to Jesus standards?" Leo listened gravely as he walked along beside Francis. Step by step he felt his heart grow lighter as a profound peace flooded his soul (Brennan Manning, pages 209-211). And this my friends is how we live up to Jesus standards! May your heart grow lighter and may God's profound peace fill your soul!